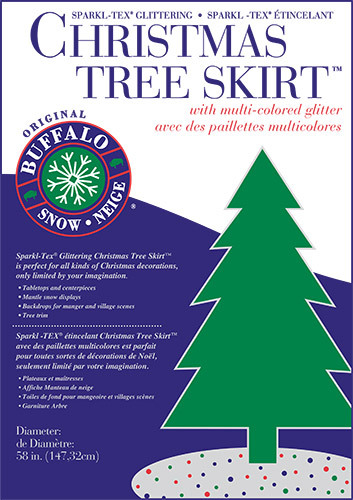 Create your own white Christmas with Original Buffalo Snow products. Carefully crafted of pure virgin polyester, they’re perfect for all kinds of holiday decorations, including tabletop displays, centerpieces, and door, window and tree trimming. Download the Original Buffalo Snow catalog here. These products are ideal as a base layer for any Holiday scene and perfect alone as well. These products are available with and without glitter and are great for use in village scenes, mangers, table tops and mantels. Original Buffalo Snow products are available wherever Christmas decorations and crafting supplies are sold. Fibrix leads the way in corporate initiatives for safety and sustainability.